How to architect a hybrid cloud that combines on-premises and public cloud infrastructures. Definitions of hybrid cloud vary, but here’s what it means to Amazon, Microsoft and Google. Hybrid cloud: Many believe it’s the eventual state that most businesses will operate in – some infrastructure resources on premises, others in the public cloud. Others believe it's a term that has been muddled by varied definitions from a range of vendors, diminishing the term to now be vague and nebulous. So, what does hybrid cloud really mean and how can users implement it? (Hybrid) cloud infrastructure is a composition of two or more distinct cloud infrastructures (private, community, or public) that remain unique entities, but are bound together by standardized or proprietary technology that enables data and application portability..
What does that mean in layman’s terms? Basically, most people believe hybrid cloud computing means managing a public and a private cloud as one, or at the least being able to have management tools across the two environments. There are many types of hybrid cloud though. If you have more than one cloud environment (public and private, multi-public), then it can be helpful to have a management platform that spans these environments. Managing these environments separately can create unnecessary duplication of efforts and potential security risks. A plethora of startups and established infrastructure-management vendors have developed software that allow users to centrally manage both on-premises and public cloud infrastructure and applications. In a single console, virtual machines, storage, databases and other resources can be spun up and down, regardless of whether they’re in a company data center or the public cloud. Forrester Research Principle Analyst Lauren Nelson says hybrid management was much-heralded in the early days of cloud computing, but it did not develop as robustly as some expected it would. Many IT pros have found it sufficient to manage public cloud and on-premises resources using Application Programming Interfaces (APIs) and tools native to those platforms that provide deeper functionality than an overlay management software. As a result, many of these software systems have evolved to focus on specific tasks, such as cost control, application-performance monitoring or allocation of resources. 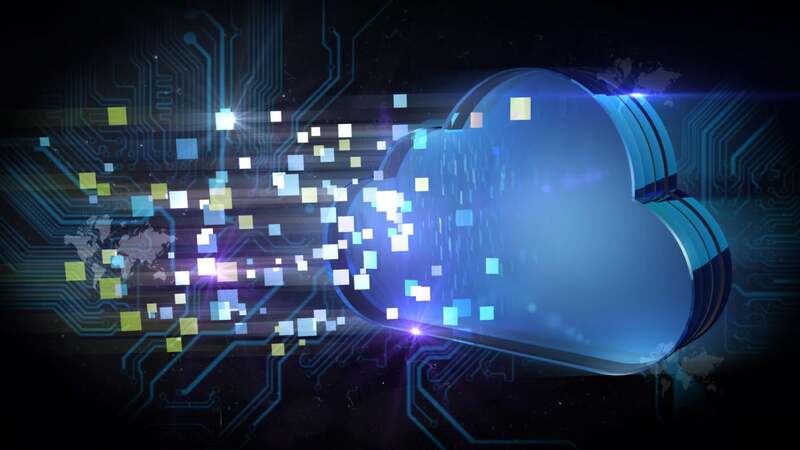 Another way to think about architecting a hybrid cloud is extending either the on-premises footprint to the public cloud or vice versa, and to connect public cloud resources with a data center. In the past few years all the popular infrastructure as a service (IaaS) cloud vendors have made this easier to do. For the on-premises extension to the public cloud, companies including VMware, Red Hat, Hewlett Packard Enterprise, Cisco, Dell and IBM enable customers to manage public cloud resources. Meanwhile, public IaaS providers are building connections from their public cloud into their customers' data centers (see more on specific cloud vendor strategies below). Many organizations utilize a platform as a service (PaaS), an application development platform for developers to write custom applications without provisioning the underlying infrastructure they need to run. Examples of PaaS include Pivotal Cloud Foundry, Red Hat OpenShift, IBM Bluemix and Apprenda. Most major PaaS software can run on customer’s premises, hosted in a private environment or natively in the major IaaS public cloud. The PaaS automatically configures infrastructure resources across these environments, making them a platform for hybrid cloud. Despite an earlier reluctance, major IaaS vendors have in recent years embraced integrating their public cloud infrastructure with customers’ on-premises resources. Vendors are creating tools that work across these environments and they’re partnering with companies that have strong ties in enterprise data centers. AWS, viewed by most as the public IaaS cloud leader, was initially reticent to market itself as a hybrid cloud company, instead focusing on its public cloud capabilities. In recent years, AWS has created tools like the Amazon Storage Gateway, AWS DirectConnect and app-dev tools like CodeDeploy. Perhaps AWS’s biggest move in supporting hybrid cloud is a major partnership with VMware that it first announced in 2016. Customers can run a full suite of VMware software on dedicated infrastructure in AWS’s public cloud. Of the big three IaaS cloud providers Microsoft has by far been the most vocal in marketing itself as a hybrid cloud company, which is unsurprising given its popularity in most IT shops already. Microsoft’s primary hybrid cloud platform is named Azure Stack, which is a converged infrastructure hardware distributed by Dell EMC, Cisco, Lenovo and HPE. It’s meant to run just like the Azure public cloud, but it sits on customers’ premises. Microsoft also allows many of its software management tools to be extend on-premises, including its Active Directory security and access management platform, as well as its broad range of SaaS applications, including Office 365 and Outlook. Like AWS, Google focused its early marketing efforts on public cloud. Since the company hired former VMware CEO Diane Greene to head its cloud efforts, it has more fully embraced hybrid cloud. The most notable example of this is a partnership with Nutanix – the hyperconverged infrastructure vendor – which allows customers to run applications in Nutanix on premises and in the public cloud. Google also partnered with VMware. Google has software that run across on-premises and public cloud named Kubernetes. This Google-developed open source application container management platform can run on-premises or in Google’s public cloud in in the Google Container Engine.